Develop your tiny village to a grand medieval empire with a thriving economy and happy villagers! Find spots for mining ore, harvest the crops of your farms and collect coins as taxes from your folk. Build jousting fields, taverns, marketplaces and beautify your city with impressive statues, magnificent monuments and lush gardens. But there are also dangers lurking close by. Bandits are in the area, looking to plunder and pillage your peaceful town. Build barracks, guard towers and recruit brave soldiers to protect your citizens from harm. You rule the whole empire from your castle and make sure your inhabitants have fun and stay happy! 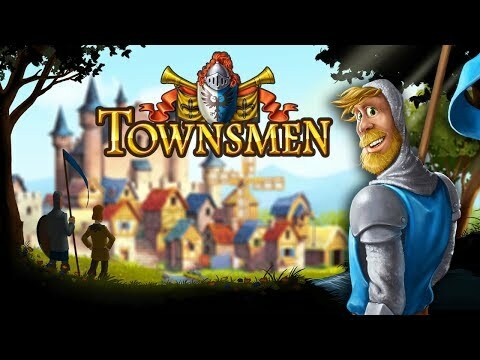 Townsmen was released on Switch 161d ago in the US and the UK. Notify me when Townsmen is available.